After spending some nights in beautiful campsites and not-so-beautiful Walmart parking lots, we made it to Santa Barbara in time for Thanksgiving. We had some adjustments to deal with along the way such as the trailer’s unstability at high speeds and adding a new water tank; but due to JT’s craftiness, we were (he was) able to fix those problems. 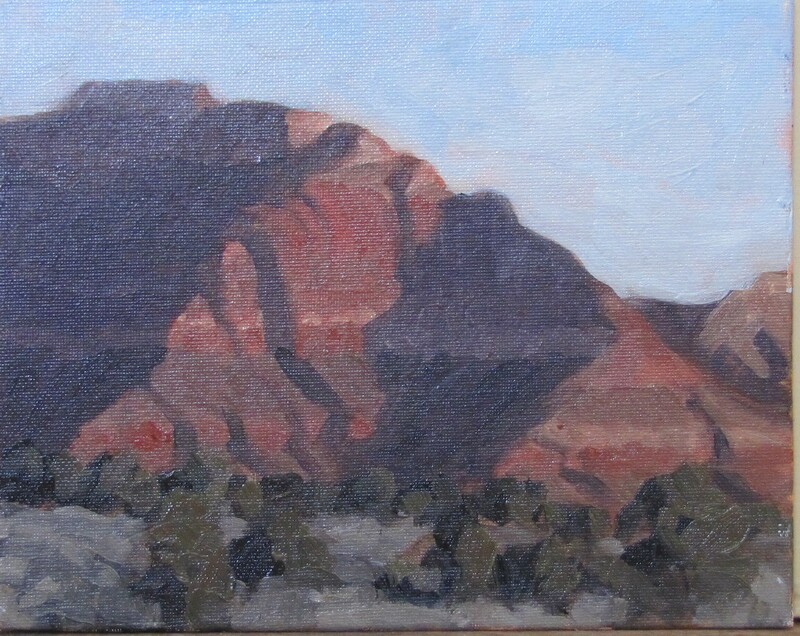 We did a great bike ride on Gooseberry Mesa outside of Hurricane, UT which is also where I attempted the first painting of our trip…from our campsite looking at Zion.